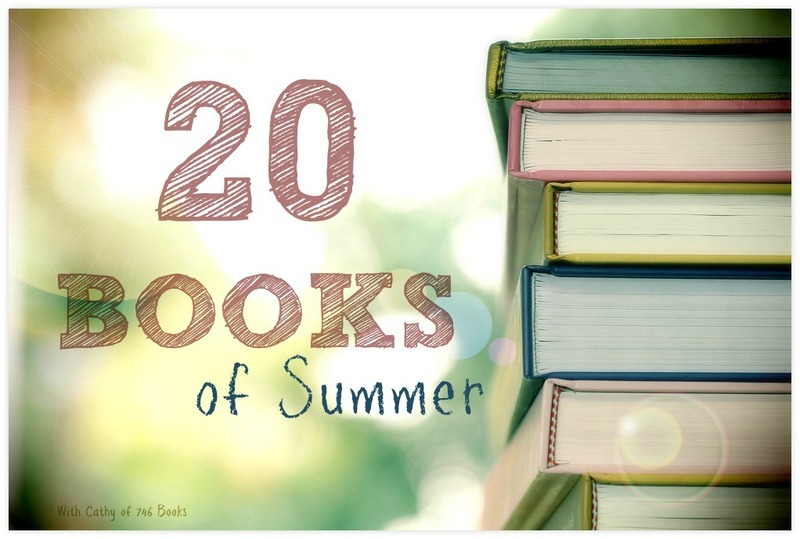 Next post: 20 Books of Summer! It’s hard to believe a year has passed, but there are hints of a change in the weather here in Ireland and I’ve decided to challenge myself again this year to read my 20 Books of Summer! Last year I managed a mere 16 ½ books, so hopefully I can beat that record this time round. When I started trying to decide on my 20 Books, I had an idea. 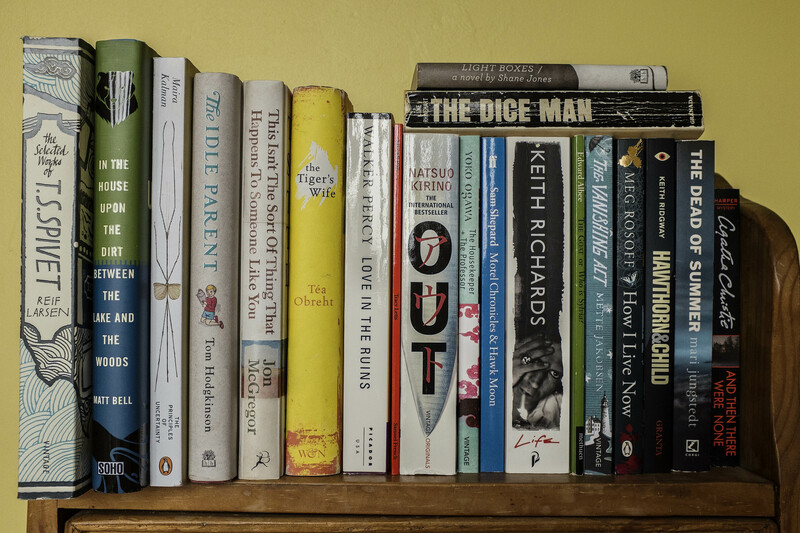 At the start of 746 Books, the aim was to read what I had, save some money by not buying books and clear some space by reading what was in the house. And I have managed to read what I have and save some money but over the last 18 months though, I’ve come to realise that I mostly read on my iPad, so the piles in the house are still there, mocking me. So, this summer, I will only read physical books. It’s a bit daunting, because it removes the opportunity to read on my phone, but it will be nice to spend some time reconnecting with some real, actual books for a change! Plus, I might have a clear shelf by September! So, starting from 1 June and running until 4 September, I’m hoping to read 20 actual books. 7 a month, I can do that, right? Like last year I’ve gone for as broad a range of genres and books as I can and like last year I have included a rock star memoir, a trashy 70s classic, and some sneaky short plays, poetry collections and short stories! I won’t be reading in any particular order and be warned, reviews may be shorter than usual – I’ve still a job and a couple of twins to look after you know! I’m going to keep a Master post at the start of the blog so you can follow my progress as books get crossed off the list and if anyone feels their reading needs a bit of oomph then why not join me? Just take the Books of Summer image, pick your own 10 or 20 books you’d like to read and link below. I’d love your support and I’ve provided a 10 Books image in case 20 seems too daunting! I’ll be tweeting my way through the challenge as well using the hastag #20booksofsummer. So, any thoughts on my choices? Have you read any of my 20? Any I should start with straight away, or save for later? Any I’m going to regret putting on the list? I’d love to hear what you think. I never thought about the different seasons! Thanks for joining in regardless! LOL. Glad you’re playing anyway, Kate. Only 12 degrees C this morning – that’s cold for Sydney!! Would much rather being doing 20 books of summer. You’re a star Brona, thanks for joining in! Wish I’d included Watership Down now, it was a stand by option and very nearly made it in. If I manage to read all 20 in the time frame, I might try and squeeze it in! Great stuff, thanks so much for joining in! Looking forward to a great summer of reading! Looking forward to it Sarah, thanks so much for joining in! Aw brilliant! Look forward to seeing your list! 7 a month is impressive. I’m way down low at the moment and failing miserably on my Goodreads Challenge for the year (4 books behind!) Love love love the Housekeeper and the Professor and am sure you will too. Lots on there I don’t actually recognise but have just added the Agatha Christie to by TBR pile so can’t wait to hear what you think! I can’t think about it in terms of 7 a month, that sounds like SO much reading! I’m really looking forward to The Housekeeper and the Professor. I’ve read and loved two of her other books. I have to say I haven’t read any of these but more than a few sound interesting. 20 books seems daunting but doable so good luck. Thanks Emma, I didn’t manage it last year, so 16 is the figure to beat! Brilliant Becky! I’ll link you up to the Master Post later today. Thanks for joining in. I just put up my post. Hope I can still be linked in. Absolutely Elizabeth, I’ll link you up to the Master Post today. Thanks so much for joining in! Hope I’m not to late! Not at all Vicki! Thanks for joining in! Was catching up on a 70s spy show, The Game, on iPlayer last night and they were reading The Dice Man in it – I’d NO idea it was so old! Gosh it’s stuck around – and probably still earns a good few quid for the author every year! Be interesting to know what else ” non school classic” books continue to sell well that one wouldn’t expect! I’ve no idea why I even have it Linda! I think it may have been inherited from my Dad’s collection. I read Hollywood Wives last year (it was daft!) so I thought I’d go for another trashy cult classic this year! I remember trying to sneakily read Jackie Collins in school, as well as a Valley of the Dolls someone found in their mum’s old box of books! Thanks for hosting this again 🙂 I’ve got my list and am ready to get started! You can find it here, with links to the respective GR page so you can see the summary and ratings if you’d like. Everyone is free to join me for a buddy read if interested! Thank you for hosting this lovely challenge :). Not too late at all, thanks for joining! GL with your project: what fun! As for what’s on your list, I’ve read Principles of Uncertainty and I really enjoyed it. I would save it, however, for those moods when you’re feeling tired or overwhemed, or just plain too hot, or dip into it when that mood strikes. It’s lovely and inviting and quietly inspiring. As for one that is also on my TBR, the Meg Rosoff. I’ve been wanting to read it for ages and I think it will make for great summer reading. Enjoy! Thank you! I think Principles of Uncertainty will be one I read throughout the summer rather thsn in on big go. The art is so beautiful, I’m really looking forward to it. Results of Challenge: By Sept 1 I’d finished all but 1 of the books I’d chosen but I’d only written down 16. Yes, I read more than 4 more including several on the new Man Booker Long List. (That was a major challenge – to read all the Booker Long Listers available before the Short List was released (about 6 weeks between the two lists). I did it – 2 of the 13 books on the Booker List were not available here in the States in time so I read 11 books for the very personal Becky’s Booker Challenge. That is an AMAZING amount of reading, well done Becky and thanks again for taking part! Thank you for a great challenge. It always feels good to lower the number of books on my shelves. I still have around 200 so a few more to go. See, maybe that’s what I should do. Go for 10, manage 12 and feel better about myself!